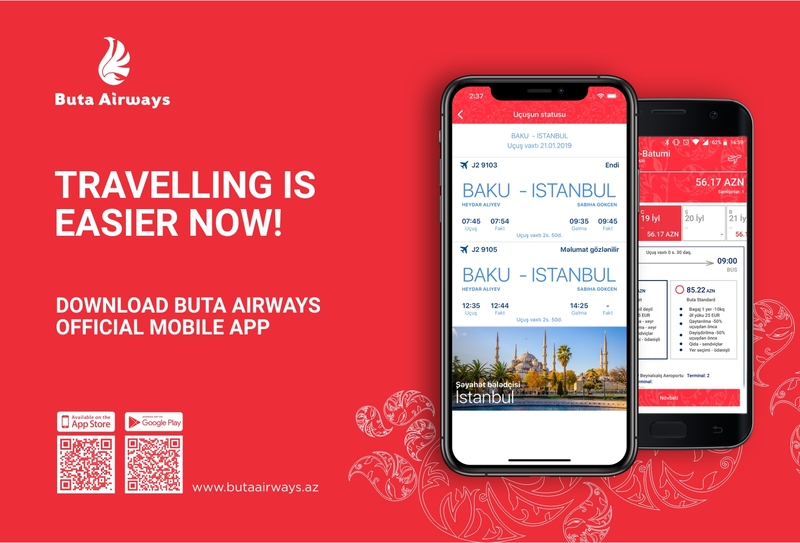 Owners of Android-based smartphones (version 5.0 and higher), as well as iPhones (iOS 9.0 and higher) can download Buta Airways official mobile app. Using the mobile app, you can purchase air tickets to any destination of the Airline, manage the booking of the already purchased air tickets and add services, check in for your flight and see the flight schedule. Also information on the Airline’s basic rules and a guide to the cities where Buta Airways flies, is available in the mobile app. The mobile app also provides an online conversation with the customer service. You can reach the Call Center by phone or messaging via WhatsApp, or directly via online conversation on the application itself.